Have you ever heard of the Zero Day Challenge? In a nutshell, the premise is to become more mindful of your spending and challenge yourself to have as many “zero days” as possible in a given week, month or year. It becomes a bit of a game to have more zero days and beat your previous record. The end result is essentially a reduction in spending that allows more capital to be saved / invested. My wife and I are quite fortunate in that we make a nice living, own a nice home, and don’t carry any debt other than our mortgage. We generally live below our means, but certainly have some things that would make truly frugal people cringe (e.g. we have a track record of buying new cars, but drive them until they won’t go much farther–I replaced my last car with well over 200,000 miles and bought a Toyota Corolla). Every year we work against a budget, that we review and adjust on an annual basis. However, we aren’t strict with the budget and if some areas go over, we don’t sweat it. Part of the reason for that is because our budget accounts for savings first, and then we are essentially spending out of the remaining funds. It has worked well for us, although I appreciate it might not work for others. But I’ve always felt like we could do more and expedite our FIRE date, so I proposed the Zero Day Challenge to my wife. With my new pursuit for the Divvy Dad Portfolio to build a passive dividend income stream, I am eager to get as much capital into my investments as possible. Therefore, when I proposed the challenge to my wife it was with the intent to reduce our spending on “stuff” that had become more of a habit than a necessity. Buying some Starbucks while we are running errands (now we are buying a different kind of Starbucks). Going to Target and leaving with a cart full of items when all we needed was toilet paper. By reducing this type of spending on things that really do not bring any joy or happiness to our lives is beneficial on many levels, one of which is it leaves more capital to funnel into our taxable investments (all available tax-advantaged options are already maximized). At first my wife thought that this would mean we needed to be extremely frugal–or miserly was the word I think she used. But as we set the guidelines for purchases that would not count against our challenge, and clarified that the intent wasn’t to avoid spending entirely but to begin evaluating purchases in a different context, she jumped in and is having fun turning it into a bit of a competition. We started the challenge towards the end of June, and are now a couple of weeks into July. Thus far it has been great and has really allowed us to look at the way we were spending money with a different perspective. My wife has realized how often she was stopping at Starbucks and Target out of habit, and I have realized my penchant for wanting to go out for a bite to eat rather than cooking something at home. As an added benefit to cutting back on that spending, eating at home is usually much healthier as well. The first month (or thereabouts) of the challenge have been fun and we have learned a great deal. More importantly, it has allowed us to be more appreciative of everything we already have and opened our eyes to doing more for others. While we have always supported a handful of charities that are close to us, we have become more conscious of others in need and been able to donate items we no longer needed or provide other means of support to new causes. Whether we stop this challenge tomorrow or continue it for months or years, I already consider it a smashing success. 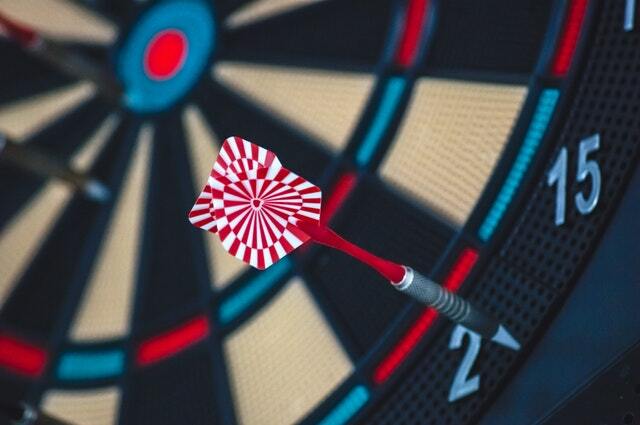 While I have felt that we are in a good place financially, I have had that nagging feeling like we are not maximizing our potential–like when you’re playing darts and you’re scoring points, but not hitting the bulls-eye. Taking on this challenge with my wife has been a great experience, and we have already learned a great deal about the spending habits that we have had and how making small changes can feel so rewarding. We are also seeing it slowly rub off on our kids, as they are starting to question how they spend their money a little bit as well. Not only that, but it has been fun too! As much as we all may know it, we sometimes lose sight of the fact that buying “stuff” doesn’t make us happy. Investing in ourselves and our future generations, as well as being able to do more to help others, is what this is all about. Have you ever tried the Zero Day Challenge? Let me know what you think. Hmmm my wife is on board with the stock buying but I’m doubtful it goes much further then that at this time. I hear you about having a partner that is fully engaged vs. mildly interested. My wife has always left the finances to me and not wanted to spend much time thinking about it or changing her habits, so I was really excited when she agreed to give this a go. She also balances my nature to save everything for tomorrow, and getting me to enjoy the here and now more as well. That’s too funny that you mention being a 2 Toyota family, as we are too. My wife has a Rav4, and prior to these two Toyotas we each had a Scion that combined had about 400,000 miles when we replaced them. Unfortunately our boys haven’t learned that lesson as they went with non-Toyota options, although as a teenager I did too. Great to hear that you have a similar approach to budgeting and that it is working well for you guys too!